Note: We’re cheese people, not doctors, but we have a deep conviction that cheese is healthy. More and more, science is backing us up. This is our second post in a series on why eating cheese is good for you. (The delicious part needs no proof.) PJ runs our Cheese Caves, and has a rich background in biology. PJ, take it away! The practice of turning nutrient-rich milk into cheese is thought to date back to 10,000 BC. At that time nutrition had a slightly different connotation than it does today. Having enough protein and fat in your diet was the difference between life and death. Milk from recently domesticated sheep and goats was essential to meeting these simple nutritional needs. The problem of counting on milk to fulfill these needs in an age without refrigeration or pasteurization is very rapid perishability. It is believed that very simple cheeses were made to preserve this vital protein/fat source. The life of an artisan cheese-eating human in the 21st century has different nutritional needs to worry about. Fat is usually seen as an indulgence instead as a necessity and protein consumption is rarely an issue among meat eating individuals. With basic nutritional needs fulfilled, are there still health benefits of eating cheese? The simple answer is yes. In today’s society, food that most people consider healthy can also be categorized as functional. Functional foods are foods that have health benefits beyond the basic needs of nutrition; ultimately promoting health and/or reducing the risk of disease. Recent research has revealed functional components of cheese. I will discuss a few of the functional properties of cheese protein and peptides. Different cheese varieties vary in their protein content. Cream cheese contains roughly 3.1% protein, while parmesan contains roughly 36.2% protein. As cheese ages, enzymes will break the protein down into peptides and amino acids. These protein fragments are essential to cheese flavor. We are more recently discovering their contribution to health. One way of promoting health is to prevent disease. We live in an age where most people expect their food to be safe. The reality is that there will always be a certain degree of risk when consuming food. Particular cheeses might have a built-in defense system. Peptides isolated from certain cheese varieties have been shown to have antibacterial properties. Potentially, these peptides could protect the product from pathogenic bacteria. Antibacterial peptides have been found in different Italian cheese varieties (including Caciocavallo and Mozzarella)1, different Cheddar cheese varieties2, and others. It has also been discovered that certain strains of Brevibacterium Linens (a bacteria commonly found on washed rind cheeses) produce antimicrobial peptides3. As more research on this topic comes to light, it is looking more and more likely that certain cheeses have the ability to defend themselves. Breakdown of protein during cheese aging could also have positive effects on blood pressure. Angiotensin-converting enzyme (ACE) is an enzyme in the human body that constricts blood vessels and increases blood pressure. Inhibition of this enzyme has a positive effect on hypertension. Much research has been done over the years regarding peptides that inhibit ACE, and many ACE-inhibitors have been found in food products. Cheese is one of these products. Two very potent ACE-Inhibiting peptides; valyl-prolyl-proline and isoleucyl-prolyl-proline are common amino acid sequences in cheese proteins. L. Helveticus (a lactic acid bacteria used in cheesemaking) has the potential to release these sequences in cheese. ACE-inhibiting peptides have been found in Gouda4, Manchego5, Roncal, Cabrales6, and others. A third advantage of certain cheese peptides is the ability to act as an antioxidant. Antioxidants are chemicals that neutralize free radicals. Free radicals are formed when an atom or molecule gains or loses an electron. These charged atoms/molecules go on to damage different parts of human cells. It’s possible that the damage will lead to health complications or cancer. Cheese peptides found in cheddar2 are able to act as antioxidants. It’s also been discovered that different milk-derived peptides provide antioxidant properties7. It is very likely that these antioxidant-peptides are common among different cheese varieties. It is becoming clear that the peptides formed by protein breakdown during cheese aging have beneficial health effects. Cheese peptides can be antioxidants, they can lower blood pressure, and they can fight disease. As more research comes out on this subject, our views on cheese and health might change. 1Rizzello, C.G. et al. (2015). Antibacterial Activities of Peptides from the Water-Soluble Extracts of Italian Cheese Varieties. Journal of Dairy Science , 88(7) , 2348 – 2360. 2Pritchard S.R., Phillips M., & Kailasapathy k. (2010). Identification of bioactive peptides in commercial Cheddar cheese. Food Research International, 43(5), 1545-1548. 3Motta, A.S. and Brandelli, A. (2002), Characterization of an antibacterial peptide produced by Brevibacterium linens. Journal of Applied Microbiology, 92: 63–70. 4Saito, T. et al. (2000). Isolation and Structural Analysis of Antihypertensive Peptides That Exist Naturally in Gouda Cheese. Journal of Dairy Science. 83(7), 1434-1440. 5Gomez-Ruiz J.A., Ramos M., & Recio I. (2002) Angiotensin-converting enzyme-inhibitory peptides in Manchego cheeses manufactured with different starter cultures. International Dairy Journal. 12(8), 697-706. 6Gomez-Ruiz J.A. et al. (2006). Identification of ACE-inhibitory peptides in different Spanish cheeses by tandem mass spectrometry. European Food Research and Technology. 223(5), 595-601. 7Korhonen H. (2009). Milk-derived bioactive peptides: From science to applications. Journal of Functional Foods. 1(2), 177-187. 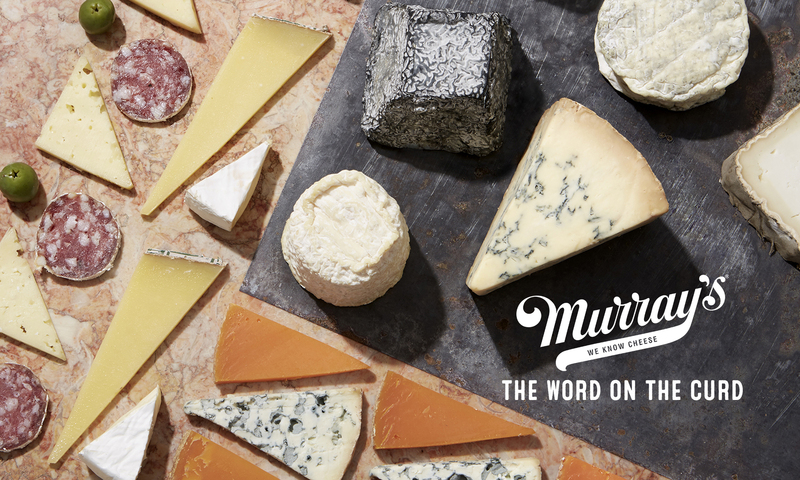 Previous PostPrevious Celebrate 75 Years of Murray’s Cheese With Us!